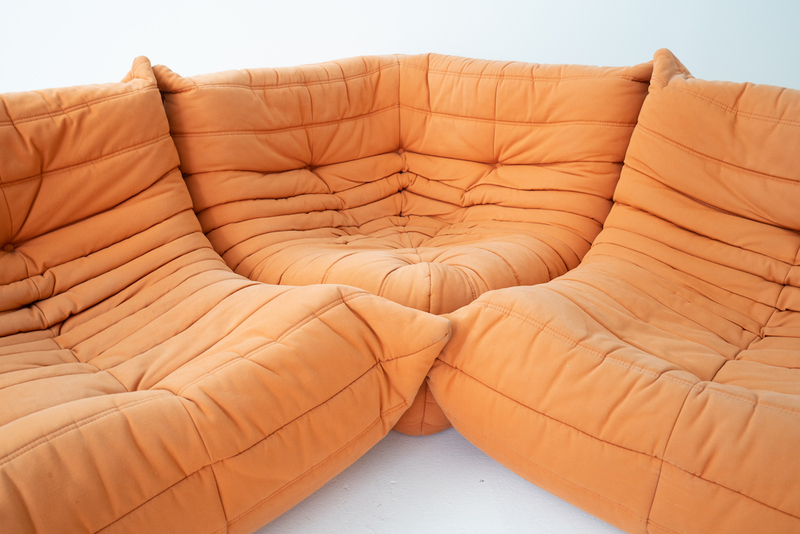 Lay back in this throw-back. 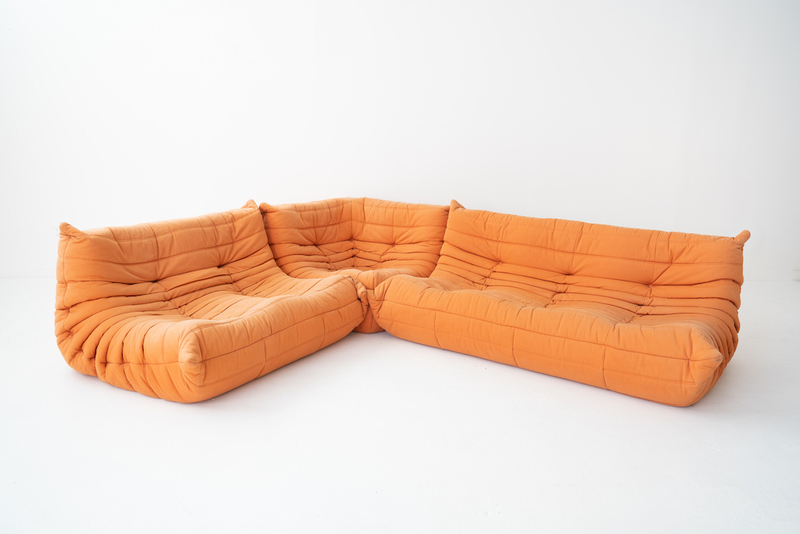 This vibrant orange three-piece defies gravity as it supplies endless comfort and eye candy for your lounge. 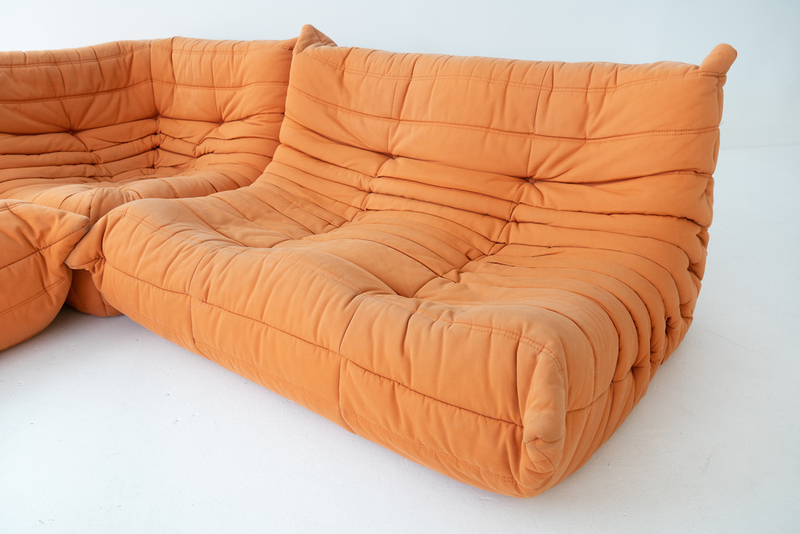 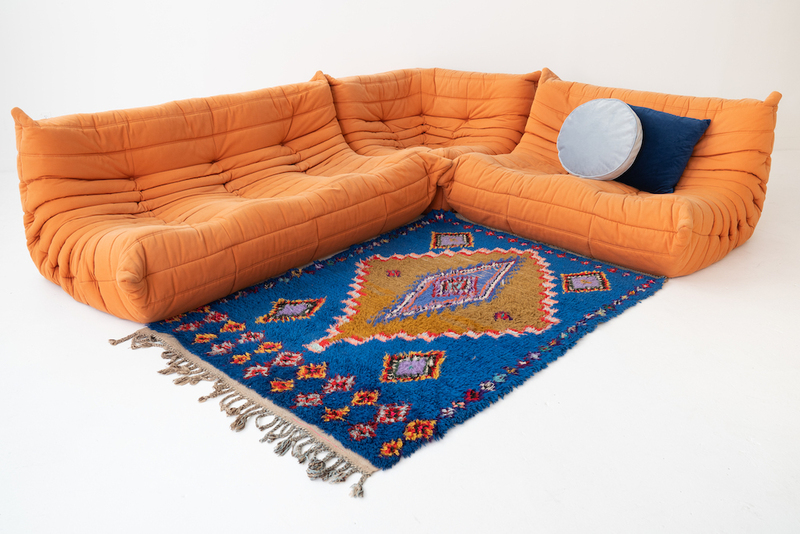 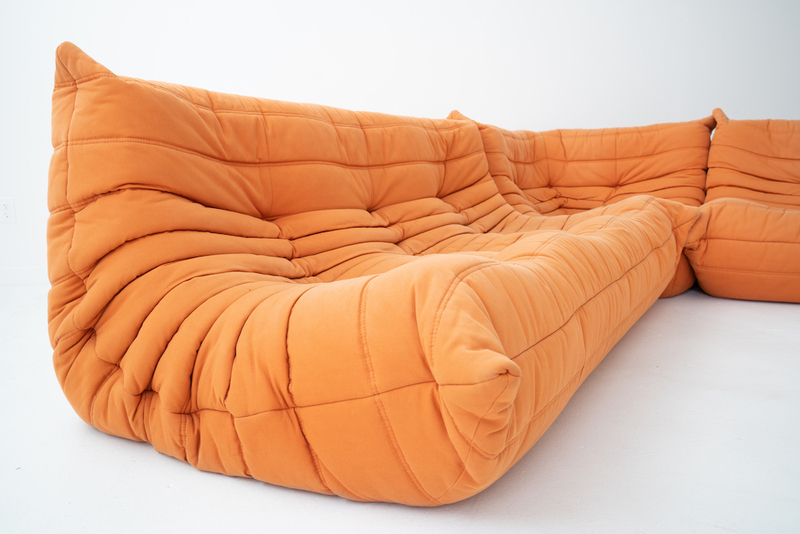 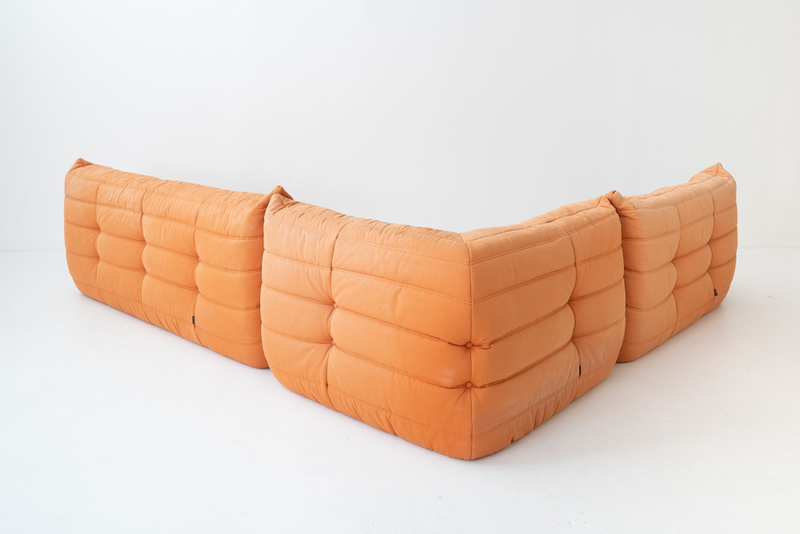 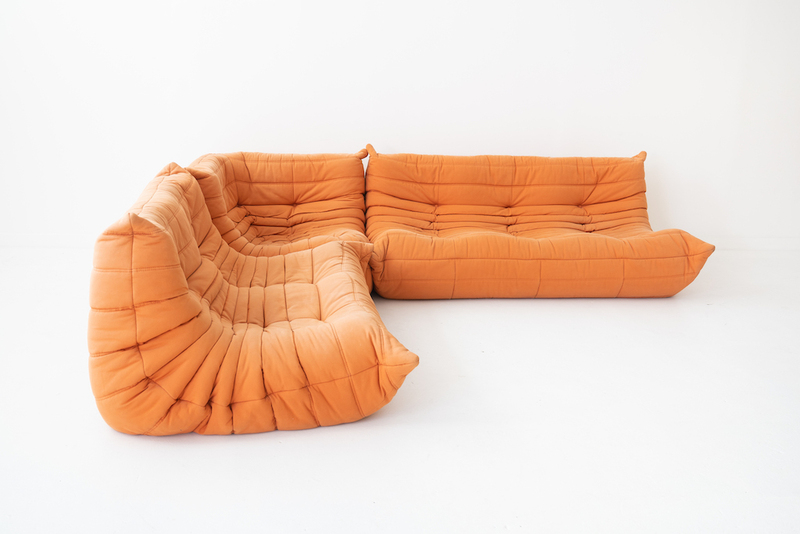 This piece is real vintage designed by Michel Ducaroy for Ligne Roset in the early 70s.